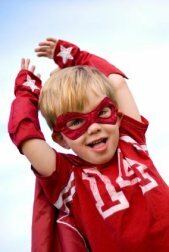 Below is an A-Z list of kids party ideas and themes for all ages, from a 1st birthday party up to 12th birthday parties. 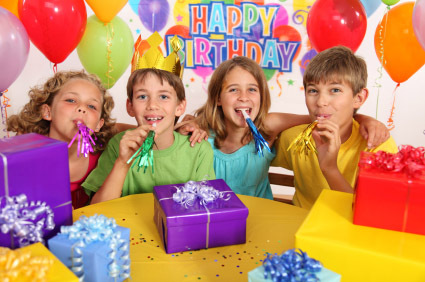 See my other pages for a seperate list of Teen Party Ideas which covers 13th birthday party ideas and over. If you don't find anything you like below, it might be worth having a quick browse of the Teen or Adult Party Themes as often these can easily be re-interpreted to create kids parties. For example, a Heroes & Villians party for adults could easily be made into a Superheroes party for kids. Similarly, a Karaoke party for adults could be re-interpreted as a Glee-themed party for kids and teens. It all comes down to how you choose to interpret a theme. A lot of people use the 'age of child plus one' as a good rule of thumb for how many kids to invite. So, if your child is 3 years old, invite 4 other kids. Remember. Don't forget, that for younger kids, you’ll also have at least one of their parents there too, which will make for a healthy number of guests. You’ll want to keep an eye on sugar levels so the kids don’t become too hyper and then crash out so plan the menu accordingly. Make sure there’s a good balance between sweet and savory snacks. You can’t go wrong with things like chicken sticks, mini pizza squares, mac & cheese, and peanut butter sandwiches (use cookie cutters to make them into interesting shapes for younger kids). Remember to mix in plenty of healthy fruit and veg like corn, carrot sticks with dips and grapes. You might even want to bring the sweet things out later once they’ve had a chance to have something savory. This will stop them going straight for all the cakes and sweet treats. 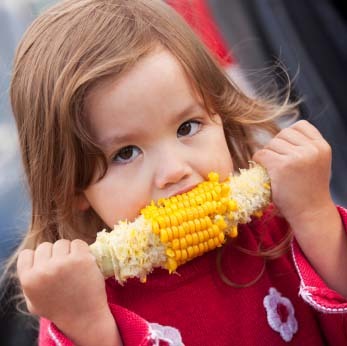 Most of all, remember that kids don’t eat a lot at parties so don’t go overboard—keep everything small and bite-sized.